"I would rather be ashes than dust. I would rather that my spark should burn out in a brilliant blaze than it should be stifled by dry-rot. I would rather be a superb meteor, every atom of me in magnificent glow, than a sleepy and permanent planet. The proper function of man is to live, not to exist. I shall not waste my days in trying to prolong them. I shall use my time." Jack London was born on January 12, 1876. By age 30 London was internationally famous for his books Call of the Wild (1903), The Sea Wolf (1904) and other literary and journalistic accomplishments. Though he wrote passionately about the great questions of life and death and the struggle to survive with dignity and integrity, he also sought peace and quiet inspiration. His stories of high adventure were based on his own experiences at sea, in the Yukon Territory, and in the fields and factories of California. His writings appealed to millions worldwide. London was also widely known for his personal exploits. A colorful, controversial personality, London was often in the news. Generally fun loving, he was quick to side with the underdog against injustice of any kind. An eloquent public speaker, he was much sought after as a lecturer on socialism and other economic and political topics. Most people considered London a living symbol of rugged individualism, a man whose fabulous success was not due to special favor of any kind, but to a combination of immense mental ability and vitality. Strikingly handsome, full of laughter, restless and courageous, always eager for adventure, Jack London was one of the most romantic figures of this time. He ascribed his worldwide literary success largely to hard work—to “dig”, as he put it. Between 1900 and 1916 he completed more than 50 fiction and non-fiction books, hundreds of short stories and numerous articles. Several of the books and many of the short stories are classics and still popular; some have been translated into as many as 70 languages. Among the best known are Call of the Wild, White Fang, The Sea Wolf, Martin Eden and John Barleycorn. In addition to his writing and speaking commitments, London carried on voluminous correspondence (he received some 10,000 letters per year), read proofs of his work as it went to press, and negotiated with his agents and publishers. He spent time overseeing construction of his custom-built sailing ship, the Snark, (1906-1907); the construction of his dream house, Wolf House (1910-1913); and the operation of his farm, Beauty Ranch, (1905). The natural beauty of Sonoma Valley was not lost on Jack London. The magnificent vistas and rolling hills of Glen Ellen were an ideal place for Jack and Charmian (London’s second wife) to relax and enjoy the natural life. “When I first came here, tired of cities and people, I settled down on a little farm…130 acres of the most beautiful, primitive land to be found in California.” Though the farm was badly run down, he reveled in its natural beauty. Living and owning land near Glen Ellen was a way of escaping Oakland, from the city way of life he called “the man trap.” But, restless and eager for foreign travel and adventure, he decided to build a ship, the Snark, and go sailing around the world, serializing his adventure. The Snark voyage made it as far as the South Pacific and Australia but was curtailed due to ill health. Discouraged by health problems and heartbroken about having to abandon the trip and sell the Snark, the Londons returned to the ranch in Glen Ellen. Between 1908 and 1913 London purchased adjoining farms and in 1911 he moved from Glen Ellen to a small wood frame house in the middle of his holdings. (This Cottage and adjoining Stone Dining Room can be toured at the Park, a touchstone to the early 20th-century life Jack and Charmian enjoyed at the ranch). On horseback, Jack explored every canyon, glen and hilltop. He threw himself into the farming fad of the period, scientific agriculture, believing this to be a truly justifiable, basic and idealistic means of making a living. A significant portion of his later writing—Burning Daylight (1910), Valley of the Moon (1913) and Little Lady of the Big House(1916)—centered on the simple pleasures of country life, the satisfaction of making a living from the land and remaining close to nature. Jack and Charmian London’s dream house began to take shape early in 1911 when a well-known San Francisco architect, Albert Farr, created the drawings and sketches for Wolf House. Farr supervised the early stages of construction of a grand house that was to remain standing “for a thousand years”. By August 1913 London had spent between $50,000 and $75,000 and the project was nearly complete. On August 22 final cleanup got underway and plans were laid for moving the Londons’ specially designed custom furniture, thousands of books, collections from travel, and personal belongings into the massive stone and redwood residence. That night, a ranch hand noticed a glow in the sky half a mile away. Wolf House was burning. By the time the Londons arrived by horseback the house was ablaze, the tile roof had collapsed, and even a stack of lumber some distance away was burning. Nothing could be done. London looked at the fire philosophically, but the loss was a crushing financial blow and the end of a long-cherished dream. Rumors abounded about the cause of the fire. In 1995 a group of forensic fire experts visited the site and concluded that the fire resulted from spontaneous combustion in a pile of linseed oil-soaked rags left by workers. London planned to rebuild Wolf House, but at the time of his death in 1916 the house remained as it stands today, the stark but eloquent vestige of a shattered dream. The loss of Wolf House left London depressed, but he forced himself to go back to work. He added a new writer’s study to the Cottage, continued his efforts to breed prize livestock, and expanded his plans for the 1400 acres he now owned. Occasionally, London traveled to New York, San Francisco, or Los Angeles on business. He spent time living and working aboard his 30-foot yawl, the Roamer, which he sailed around San Francisco Bay and the nearby Sacramento and San Joaquin deltas. In 1914 Jack was a war correspondent in Mexico, covering the role of US troops and Navy ships in the Villa-Carranza revolt. In 1915 and 1916, Charmian persuaded her husband to spend time in Hawaii, a relaxing and healthful respite for the two of them. But London’s greatest satisfaction came from his ranch activities. His ambitious plans to expand the ranch and increase productivity kept him in debt and under pressure to write as fast as he could, even though this might mean sacrificing quality for quantity. He continued to push to complete 1000 words per day regardless of his location, duties, or health. When London’s doctors urged him to change his work habits and his diet, stop all use of alcohol and get more exercise, he refused. If anything, the pressure of his financial commitments to helping friends and relatives and his increasingly severe health problems only made him dream larger dreams and work harder and faster. On November 22, 1916, 40-year-old Jack London died of gastrointestinal uremic poisoning. He had been suffering from a variety of ailments, including a kidney condition, but up to the last day of his life he was full of bold plans and boundless enthusiasm for the future. Words of grief poured into the telegraph office in Glen Ellen from all over the world. 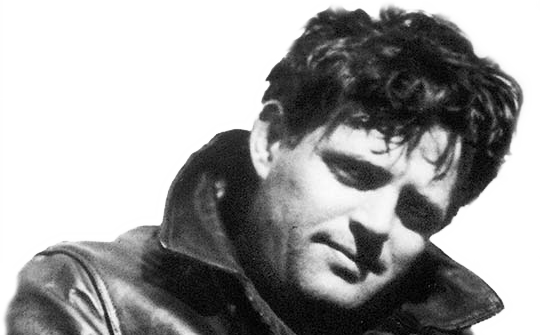 ‘No writer, unless it were Mark Twain, ever had a more romantic life than Jack London. The untimely death of this most popular of American fictionists has profoundly shocked a world that expected him to live and work for many years longer.’ ~Ernest Hopkins, San Francisco Bulletin, December 2, 1916. The Death of Jack London fact and fiction, by Lou Leal, Jack London State Historic Park historian.